Today we’d like to introduce you to Ryan and Jacquelyn Brennan. For years, picking up his wife, Jacquelyn from the studio, Ryan watched people coming from or going to a coffee shop. Whether they were in a group wanting to spend some quality time together or just going to/from work – the concept of marrying the two just made sense. 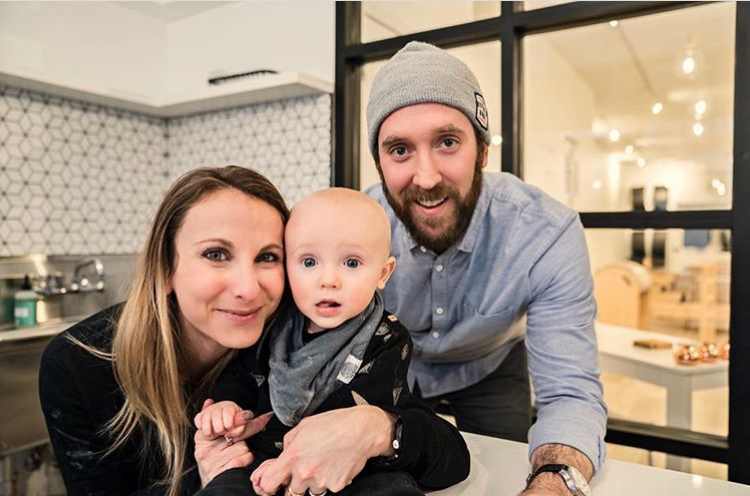 Ryan happened to have a strong passion for coffee and was a believer in the power of Pilates, watching his wife transform the lives of her clients for years and using it himself to recover from multiple hip surgeries. Enter 2017, where a few things happened for the Brennan’s – namely the birth of their first child, William Jack Brennan, born in June – just a few months before the doors to Pilates + Coffee opened for the first time. Just prior to his birth, Jacquelyn’s studio of ten years unexpectedly closed its doors leaving Jacquelyn and her colleagues looking for a new start. This opening caused Ryan and Jacquelyn to look at each other and take a huge leap of faith – perfect timing for new, first-time parents! This November, Pilates + Coffee turns one and has become a central hub in the Roscoe Village community not only for those enjoying Pilates but a space where all can congregate and enjoy a cup of coffee, tea, light snack, etc. The goal of a community space has truly come to life with many relationships formed and many more to come. The road has been long and challenging presenting multiple struggles, but after 11 months in business, it has all been worth it. Starting a new small business for first timers presents many bumps that ultimately lead to learnings. 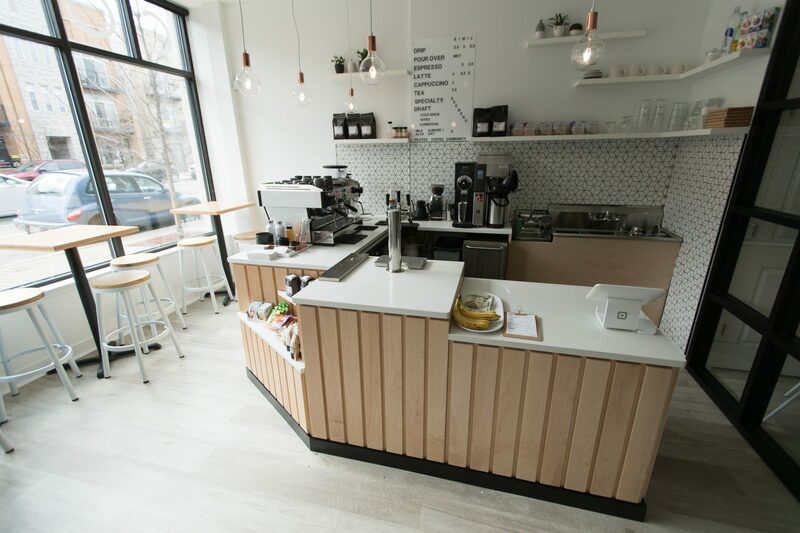 Dealing with establishing a legal entity to city requirements for both a Pilates Studio and Cafe (food service is a whole other beast) isn’t as straightforward as one might think. We’ve been fortunate to have had a great community support from fellow small business owners that helped consult us along the way that in hindsight, paid huge dividends. 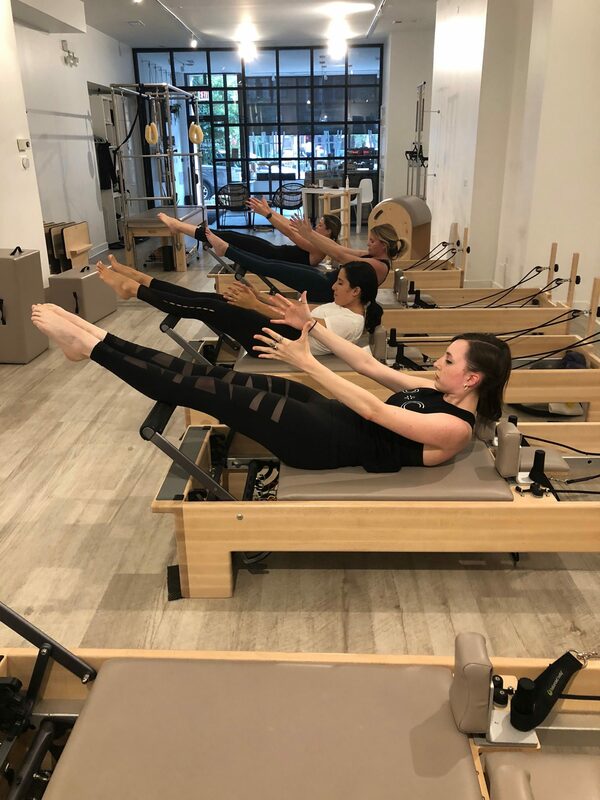 Of course, staffing can be one of the trickiest parts of establishing a business, but we hit the staffing jackpot with some amazing Pilates teachers that followed us to the studio for the opening and have joined us since. Couple that with a great Barista, we’ve truly been lucky and feel working alongside our staff and being the present day in and day out has allowed us to develop a true supportive team/family that is always looking out for one another. So, as you know, we’re impressed with Pilates + Coffee – tell our readers more, for example, what you’re most proud of as a company and what sets you apart from others. Our company descriptor is, “a unique neighborhood space in the heart of Roscoe Village celebrating Pilates, coffee, and community.” We’re the only Pilates studio + cafe combination in the world (that we know of) which sets us apart from traditional studios or cafes for that matter. Our vision of the two bringing a community together has truly come to life. The combination of the two has allowed a larger portion of the community to enjoy our space. Some come for just Pilates, some come for just coffee, some for both. What’s great is that one isn’t a prerequisite for the other and there’s no pressure to make a choice, we just allow people to enjoy the space as it fits them. What is truly rewarding, however, is seeing someone who comes in for coffee give Pilates a shot after seeing the practice in action. Likewise, Pilates folks who have never given craft coffee a try have now become obsessed with higher quality coffee and have tried new drinks they normally never would have. 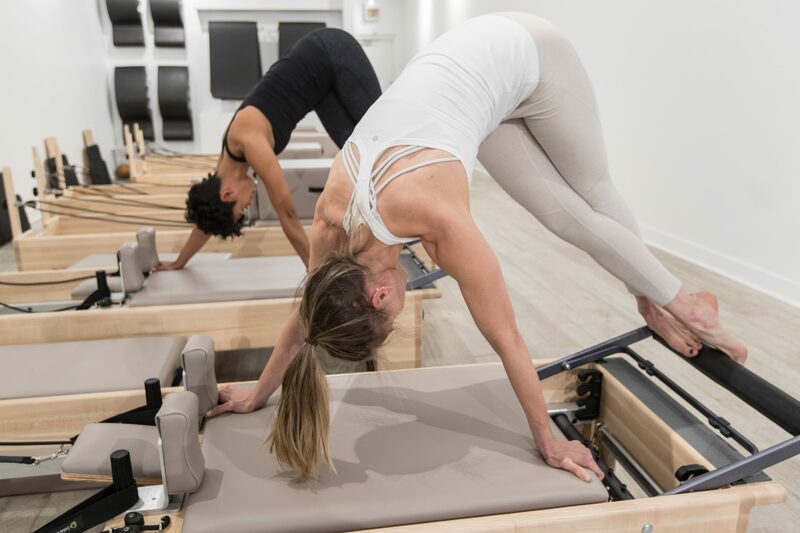 We offer private, semi-private and small group classes at P+C, focusing on individuals needs, educating our clients while offering an intelligent and challenging workout! Our staff also specializes in prenatal and postpartum corrective exercise. We feature local roaster Ipsento from Bucktown and Printers Row Coffee in Lincoln Park for our Cold Brew. Additional offerings include Scones from Scone City in Wicker Park, Kilogram Tea (Chicago) along with other package goods and drinks. Chicago has been our collective home for over a decade. Ryan moved here from Buffalo, NY in 2006 with Jacquelyn coming from Saint Louis in 2008. Both of us choose Chicago because we had great experiences visiting, but little did we know, how strong the community was once we moved here. The Midwest hospitality and kindness is a real thing, the pace of life can be fast but also slowed down. Address: 2144 W. Roscoe St.